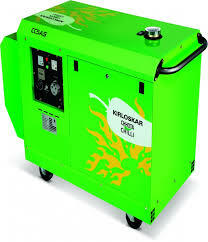 Kesharichand Bhanwarlall is the largest player in supplying of KOEL GREEN ( Kirloskar Green ) Silent generating sets ranging from 5 KVA to 5200 KVA We are the largest AGOEM of KOEL ( Kirloskar Oil Engines Ltd, Pune). With our state of the art manufacturing facilities spread over 20 acres, we take pride in delivering best in class gensets to our customers for efficient power supply. 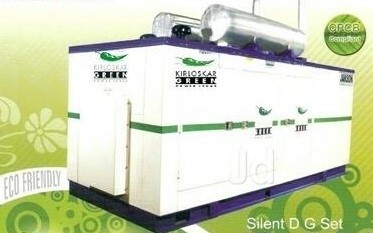 With the widest range of gensets catering to the needs of a small household to large industrial/commercial establishments. We specialize in customizing our already versatile equipment to meet the standby power needs of practically every application and ensure that even uncommon requirements are satisfied efficiently and cost effective. 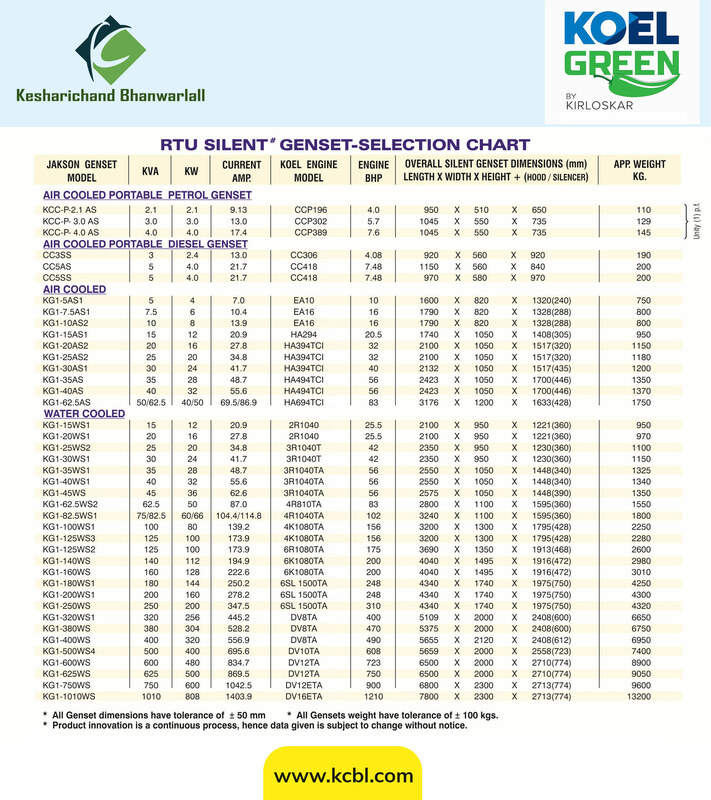 Genset control at your finger tips. 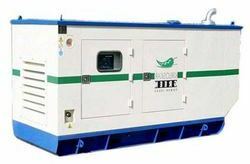 With the widest range of gensets from 5 KVA to 5200 KVA, we have ensured that we have a gensets for every customer cutting across various industries, offices, malls, Petrol Pumps, group housing societies, financial Institutions and residential requirements. In a nutshell, we are one stop solution for all your Power requirements.